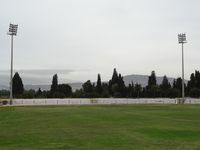 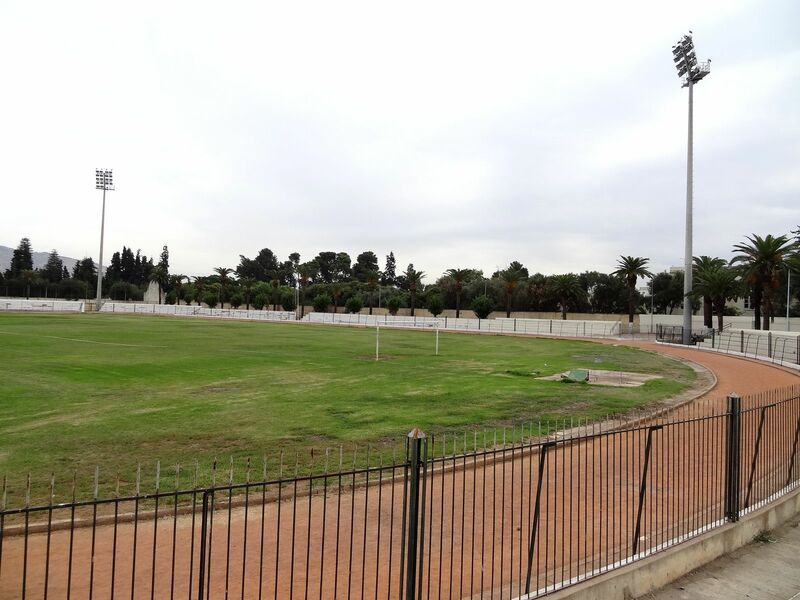 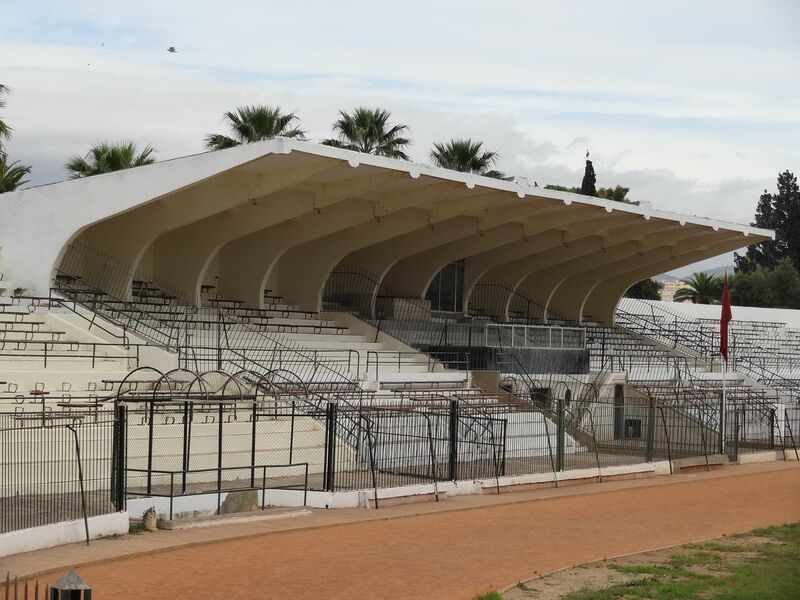 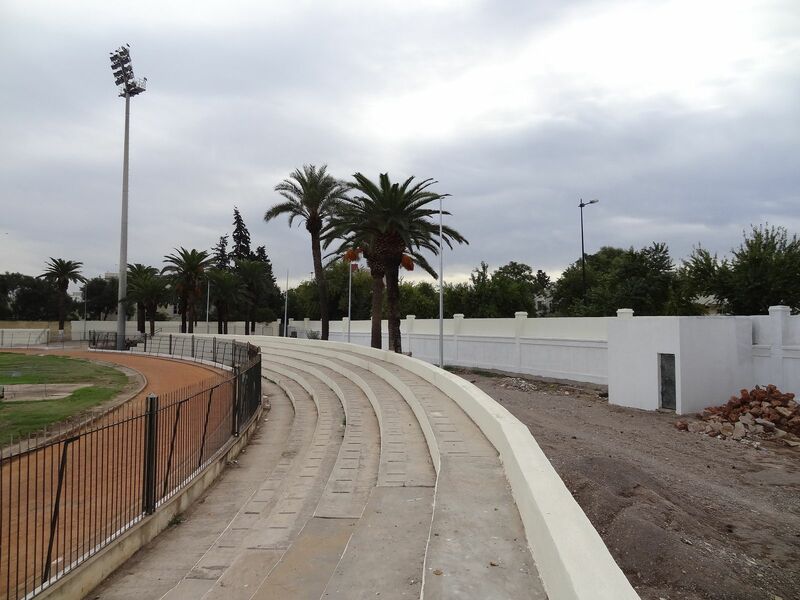 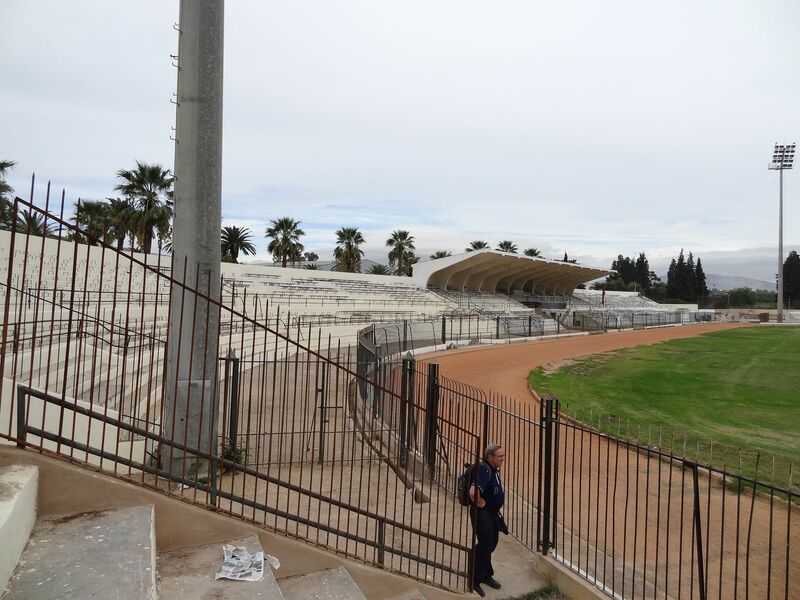 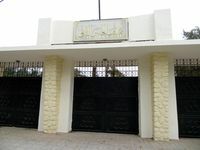 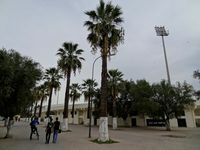 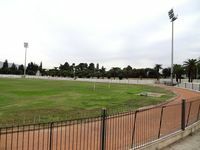 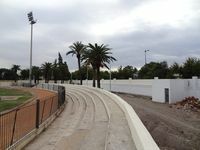 Once the most import ant stadium in Fez, now only the most centrally located, just a few kilometers north of the city centre, adjacent the central train station. 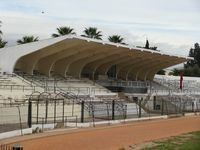 The stadium was built and remains with the traditional layout combining football and athletics, with one main grandstand (partially covered) and low sections around the remaining parts of the running track. 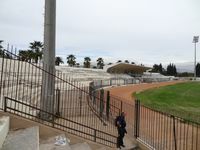 The stadium is part of a larger sports complex, comprising swimming pools, tennis and basketball courts.